Starting off the week with MRM’s Daily Bite news from TableSafe, Curry Up Now, Heartland Analytics and Spotluck. Send news items to Barbara Castiglia at bcastiglia@modernrestaurantmanagement.com. TableSafe, Inc.’s RAIL™ payment platform achieved EMV certification and was approved to process chip and signature payments. As a result, the RAIL stands as the first EMV-certified and PCI compliant pay-at-the-table platform that enables dining guests to control the entire payment process, providing them with the freedom to pay for their meal, when and how they choose. In addition to providing EMV and PCI certification, point-to-point encryption (P2PE) and other security features, the RAIL ensures the guest’s payment information never resides on the restaurant’s point of sale terminal. By combining these features, the risk of credit data breach is virtually eliminated. The low-profile RAIL is an easy to use device housed inside a patented billfold that replicates the traditional leather folio commonly used by full-service restaurants to deliver the guest’s check. Once the billfold is opened, this payment agnostic platform enables the guests to securely self-pay with their credit card or Samsung Pay® – and soon will offer the ability to pay with other mobile apps, including Apple Pay® and Android Pay®. It also allows guests to auto-calculate tips, split the bill multiple ways, including the unique ability to split by item and receive email receipts. The RAIL was purpose built for full-service restaurants and desigend to provide operators with additional benefits including increased efficiency for wait staff and back-of-house operations, the ability to obtain instant guest feedback through surveys, and the opportunity to reduce use of thermal paper by up to 85 percent. 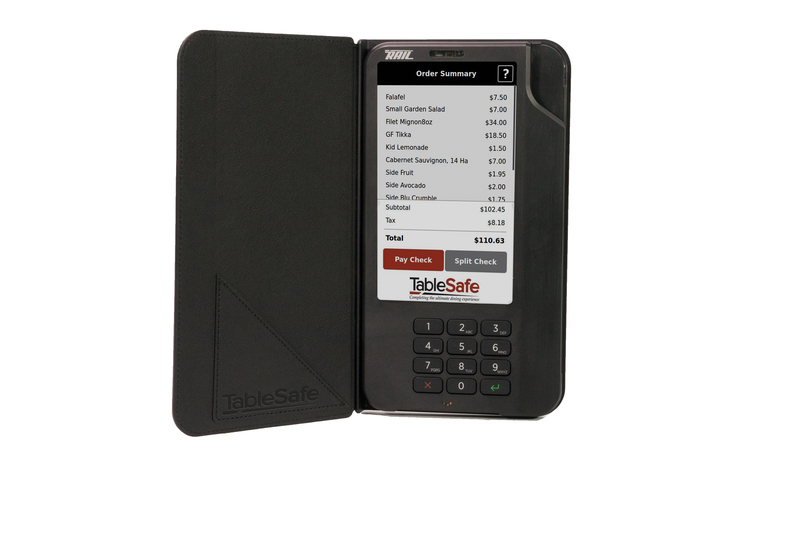 TableSafe technology reduces the time from ticket presentation to closing out the payment by up to ten minutes, enabling the staff to spend more time with dining guests and enhance the overall experience. Curry Up Now, the Bay Area family of restaurants, food trucks, and Mortar & Pestle bars, attracted a new investment from growth restaurant investor Kitchen Fund. 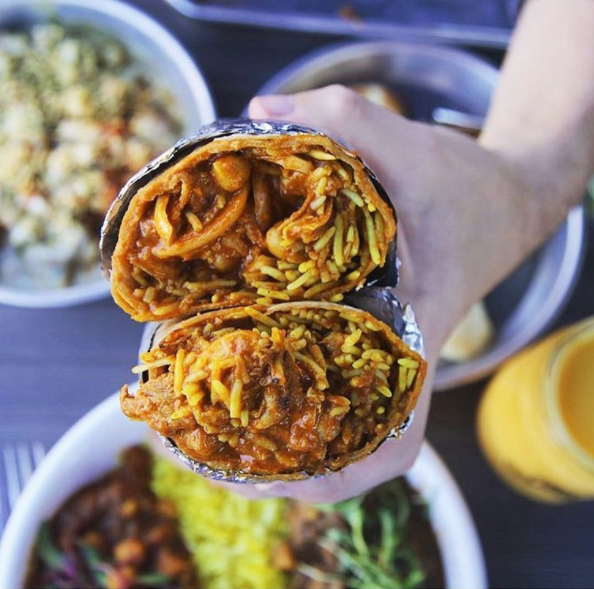 This investment comes on the heels of Curry Up Now’s acquisition of Tava Kitchen, as the Indian fast-casual concept furthers their efforts to expand outside of current markets. Founded in 2009 by husband and wife Akash and Rana Kapoor and co-founder Amir Hosseini,Curry Up Now takes traditional Indian flavors and presents them in a friendly, recognizable format. They offer all-natural, never frozen, gluten-free curries, chutneys and sauces; cage-free eggs; local and organic produce and dairy products; and protein options that are halal, naturally raised, antibiotic and hormone-free. Curry Up Now limits their disposal waste by using real plates, silverware and cloth napkins in-house and packaging to-go orders in recyclable and compostable containers. In addition, Mortar & Pestle cocktail bars, which are attached to the Curry Up Now San Jose and San Mateo locations, serve up handcrafted cocktails created with syrups, sodas, and tonics made in-house to curate unique Indian-inspired libations. “We’re excited to have the support of Kitchen Fund, an investor with a wealth of experience that will allow us to strategically grow Curry Up Now,” stateed Curry Up Now’s CEO Akash Kapoor. Kitchen Fund is a growth restaurant investor that provides financial capital and operational expertise to emerging restaurant brands. Kitchen Fund was founded in partnership with Fransmart, the leading global franchise development firm behind the explosive growth of brands like Five Guys Burgers and Fries, Qdoba, and The Halal Guys, and responsible for opening more than 5,000 restaurants worldwide. Kitchen Fund has invested in several segment-redefining brands, including INDAY, Mr. Holmes Bakehouse, and Hummus & Pita, Co. Since acquiring Tava Kitchen, Curry Up Now is ready to scale to 1,000+ units across the country. The investment from Kitchen Fund will go toward building infrastructure for the rapid and seamless growth of corporate and franchise locations in the future. Curry Up Now is currently looking for experienced multi-unit foodservice operators to develop franchise territories in major markets. Global Payments Inc. lauched Heartland Analytics, a data insights and customer engagement software platform. Heartland Analytics is immediately available to customers in the United States. The solution was designed specifically for small- and medium-sized restaurant and hospitality businesses, allowing business owners to gain insight by comparing key metrics such as sales trends, customer visits, new versus repeat customer business and changes in average ticket size. Value-added services include email marketing and customer management modules that further enable merchants to define, execute and measure marketing campaigns and manage the merchant’s reputation across widely-used social platforms. The service will form the foundation for advanced analytics capabilities that Global Payments will roll out to other regions around the world throughout 2018. Two hundred guests gathered to dine on nine courses of lobster as part of the Maine Lobster Chef of the Year competition. The luncheon opened with a special bite prepared by Leslie Oster, who also served as emcee and represented the event’s beneficiary, the non-profit anti-hunger organization Full Plates Full Potential. Stephen Richards, Boothbay Harbor Inn, was named the People’s Choice 2017 Lobster Chef of the Year, and four judges, Karen Watterson, food editor of Maine Magazine and Old Port Magazine, Susan Povich, Red Hook Lobster Pound, Erin Ovalle, MaineLife, and Christopher Papagni, food writer and consultant, selected Nathaniel Adam, Boothbay Harbor Country Club, as Maine Lobster Chef of the Year, professionally judged. 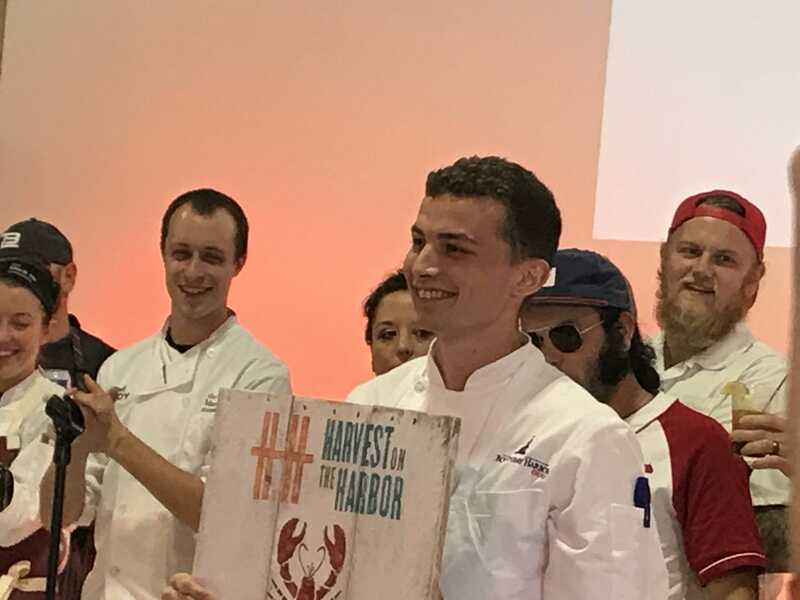 Adam was winner of the recently held Claw Down lobster competition in Boothbay Harbor, where he prepared a sweet corn and candied thyme brown butter emulsion with butter poached lobster, topped with vanilla tarragon foam and a sea salt coral tuile. People’s Choice Chef Stephen Richards wowed the audience with his smoked lobster, mascarpone stuffed tempura battered zucchini blossom with truffled corn confit fondue, sticky cranberry, top photo, while the professionally judged chef’s dish was pumpkin seed granola and black trumpet powder. Avery Richter, The Black Tie Co. Native Lobster and corn chowder served Portuguese style. In conjunction with the five-year anniversary of the Georgetown Entrepreneurship Alliance (GEA), the Georgetown University Alumni Association (GUAA) has announced multiple recipients of the annual Entrepreneurial Excellence Awards. These awards honor Georgetown University alumni, who have launched successful business ventures. Historically, the platform solely recognized the Entrepreneur of the Year, but the GEA is now honoring recipients in a total of eight different categories. Best of Hospitality: New York-City based Luke Holden is founder of Luke’s Lobster, a seafood shack that brings traceable sustainable seafood to patrons across the country. 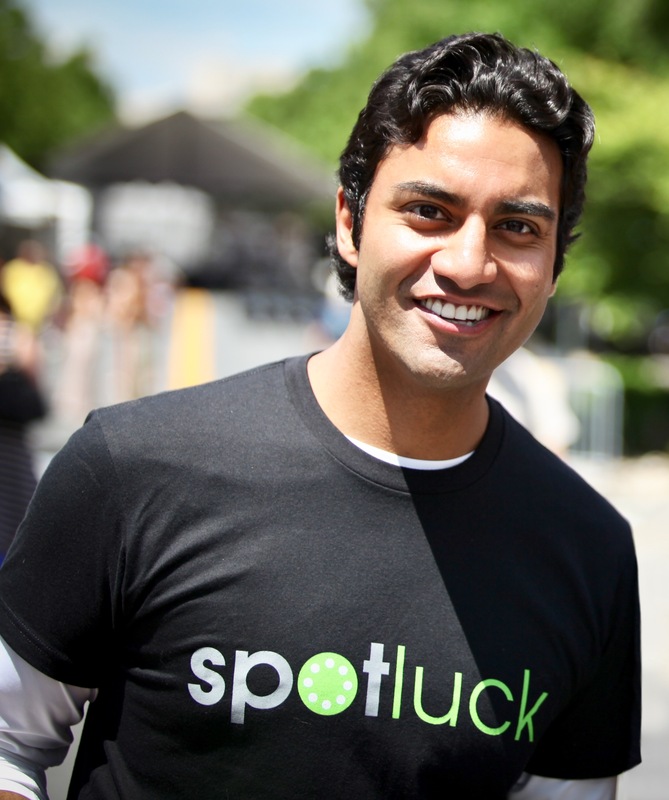 Best Mobile App: Hailing from Bethesda, Md., Cherian Thomas is the co-founder and CEO of Spotluck, which brings dynamic pricing to the restaurant industry through discounts that fluctuate based on day, time, weather, and other factors that impact restaurant occupancy. Rising Star: Washington, D.C. residents and best friends, Ann Yang and Phil Wong, co-founded Misfit Juicery, a company that uses unused fruit to create juice and reduce food waste.